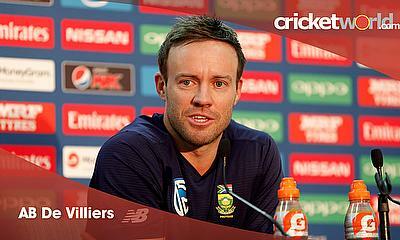 AB de Villiers is the Cricket World Player of the Week this week. Two international players retired this week Ed Joyce (Ireland) from all cricket and AB de Villiers (South Africa) from International cricket. Following his announcement about retirement from International cricket, we are acknowledging his wonderful career. Comments also flooded in on social media.
" If you look at AB, he has had a wonderful career, done freakish things in the game across three formats and he has been a great servant to South Africa,” England Captain Joe Root noted when asked ABD’s retirement. He could also keep wicket and take amazing catches in the outfield!